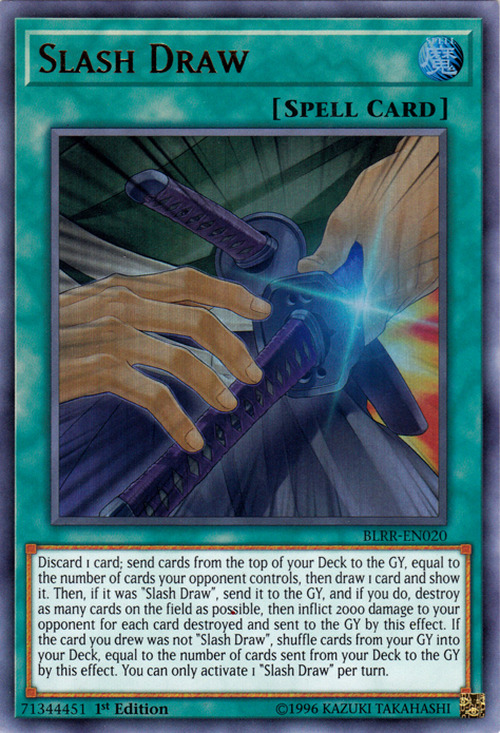 This card's name and effect are a reference to the combat technique of Iaijutsu. Iaijutsu aims to kill an opponent with a single stroke, using the same motion to both draw the katana and land the killing blow. It also represents the speed of unsheathing the blade and taking down enemies. The hit-and-miss effect of the card represents the opponent dodging the attack.